47% lightner than the average eyelash extensions with improved comfort and longevity. Produces a voluminous lash look from base-to-tip, even with single-layer applications. Flat ellipse-shaped bases fills gaps between eyelashes, creating an eyeliner effect and the look of a fuller natural lash line. Softer frame line and texture due to its split tip. 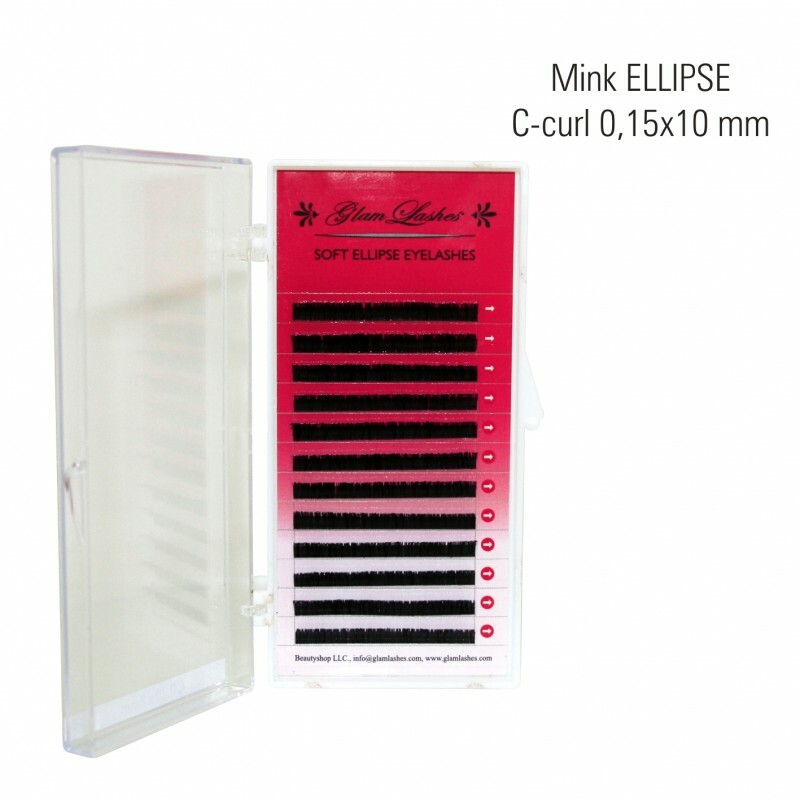 Strong lash-lifting curls that are less vulnerable to losing shape over time. Enhanched easy to use and speed with the platform-style packaging. Increased space between each lash strip for more efficient access and pickup. 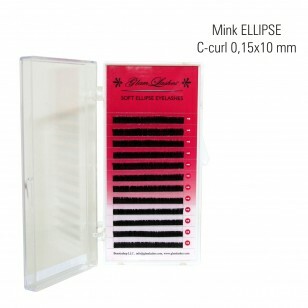 Soft ELLIPSE eyelashes are glued one by one with eyelashes glue on the natural eyelash. Eyelashes have a thickness of 0.15 mm and a length of 8-14mm. 1 row length 8, 1 row length 14 and other lengths have 2 lines in the box. For professional use only! Attention! Apply a small drop of glue to a dry glue base. Place the lash in the glue so that the glue spreads equally. Place a lash on the natural lashes from 0.1 to 0.2mm from the surface of the skin. Let it dry.